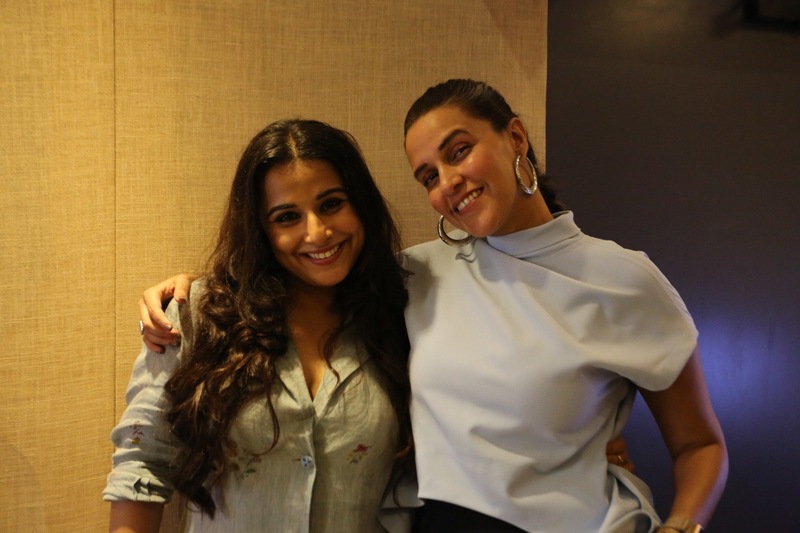 Shortly after completing the shoot of Tumhari Sulu, Neha Dhupia, who plays Maria, Sulu’s radio boss, invited her co-star and new friend, Vidya Balan on her much – discussed celebrity show, “No Filter Neha”. The conversation between the two was as fun, no-holds barred and uncensored as it could get. Vidya was true to Sulu’s character of a candid, outspoken woman who is keen to take a shot at anything in life. In the film, she plays a housewife who ends up as a night RJ on a popular radio station. Her new avatar changes her life. Tumhari Sulu releases worldwide on November 24. 15 queries in 0.512 seconds.